Technology transfer is one of the main areas in which many engineers are involved; thus, every researcher has to know the basic information regarding technology transfer in order to generate a complete technology transfer cycle. This manual aims to give a big picture of this colossal topic, since the support of technology transfer office consultant is required in a real technology transfer case. There are several projects that can become a commercial products and they only need to be redefined for a specific market. On the other hand, the project has to be protected to be implanted in a company. 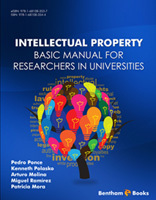 This book is for all the engineers, researchers and students who want to learn about technology transfer. Technology transfer is one of the most important topics of this age, because it is the last stage in the process for getting a final product. This book is focused on the most important aspects in the technology transfer; it could be used as a reference book when a scientist needs to generate products for a specific market. There are some examples about how the technology transfer could be developed in Mexico but a complete review about different technology transfer conditions is presented. Hence, this book can be used for students and professors. All the signing authors declare that there is no conflict of interest regarding the contents of this work. The author declared no conflict of interest regarding the contents of each of the chapters of this book.